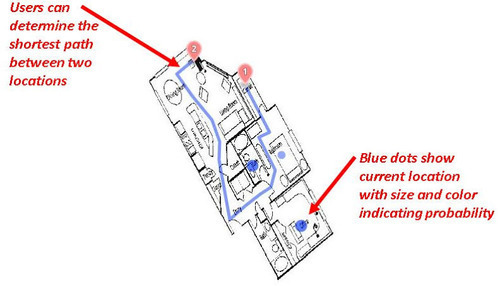 Improving navigation on Duke's campus using pinpointed position information inside buildings. The entire system is much easier to deploy. We’ve streamlined the process of setting up the server and now all the functionality is self-contained with a single user-configurable file that controls the parameters of the server. Functionality now includes showing current location and also the ability to calculate the shortest path between two routes. For the Hack@Duke, I’m hoping to start the large-scale testing by integrating one of Duke’s buildings. Last weekend at HackDuke, I recruited another grad student and together we mapped out a chunk of the hospital and tested it. It worked well! 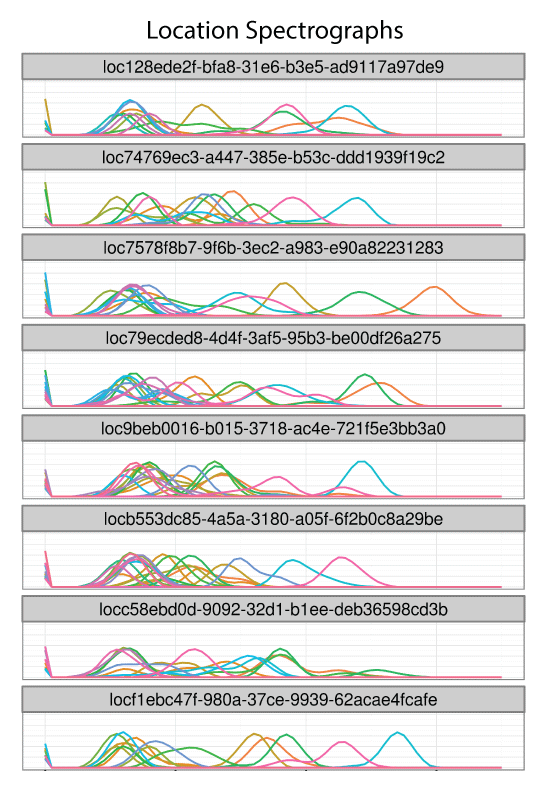 There were some unexpected kinks - the number of detectable WiFi hotspots/routers in the small part of the hospital is over 1,000. Our current setup handles this fine, but it takes about 30 min. to process the data. I will need to compute the limits of the system though, because I think having over 10,000 could be a problem. It was also helpful to eliminate a bunch of small bugs. The most recent upgrade we’ve made is moving away from the MapBox.com website and hosting tiles ourselves. MapBox is a free for small maps, but it costs for bigger maps. In any case, its better to eliminate the third party utilities. So now, we have two servers that will run - one to process fingerprint information, and one to provide the zoomable maps and floorplans. We are able to collect distinguishing fingerprints of locations around Duke’s campus! These fingerprints pinpoint locations that are inside buildings and only ~10ft apart.